The IBF/USBA is starting the new year with a new look and a formal name change. During a recent Board of Directors meeting, it was unanimously voted to drop “United States Boxing Association” (USBA) from its official moniker, which was the organization’s original name when it was founded in 1977. In 1983, however, members of the then USBA voted to expand the organization and create an international division. The vote resulted in the formation of the United States Boxing Association-International (USBA-I). One year later, in 1984, a vote was passed to change the name to the one it has operated under until now. The decision to change the name once again was based mainly to clarify that the IBF is the sanctioning organization. The USBA does not operate as a separate entity and will remain under the IBF umbrella. Fighters will continue to be ranked in the USBA ratings, and USBA titles will continue to be sanctioned. 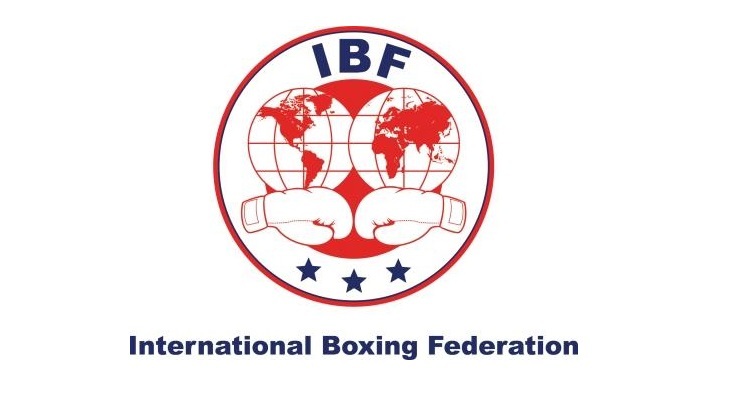 “Aside from clarifying our business operations, changing the name to just ‘IBF’ was the logical progression since for many years now the organization has been referred to that way,” remarked IBF President Daryl Peoples. Along with the name change, the sanctioning body is updating its logo to reflect the new name. The idea for the new logo essentially came from the IBF belt plate, with the addition of a more modern-looking font and a few more stars in blue to keep with the organization’s history and to reflect its American origin. With the official name change and new logo, the IBF is going into its 35th year enthusiastically looking forward to great boxing in 2018.